was rebuilt in 1902 on the foundation of the Rock Island Plow Company's warehouse. The original 5 story building was destroyed by fire in 1901. 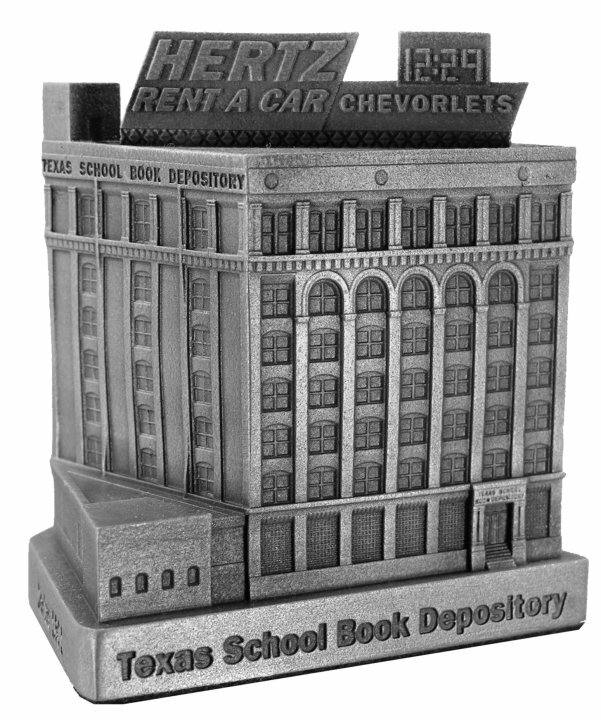 Located in Dealey Plaza / Dallas, Texas the TSBD was the one time employer of Lee Harvey Oswald. The lone person charged with the murder of JFK on November 22, 1963. This model is 3-1/4" tall and is finished in antique pewter.